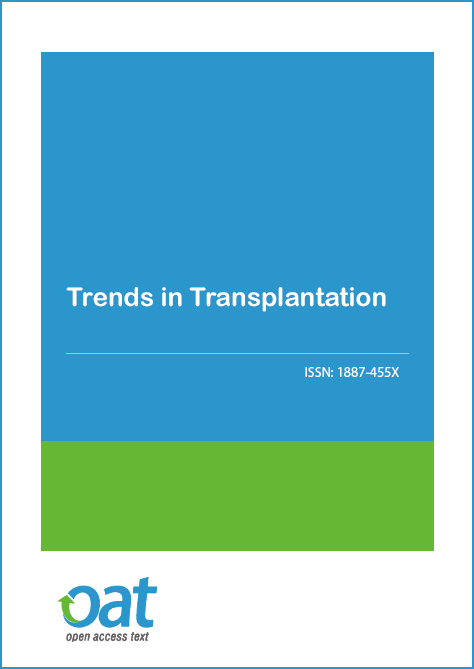 Trends in Transplantation (1887-455X) is the oldest and largest- circulation multidisciplinary peer-reviewed open access journal with a primary focus on advances in Transplantation Science. Transplantation journal is the most cited and influential journal in the field. Transplantation journal provides both scientific innovation and educational material, disseminates vital registry database information and highlights key scientific advances presented at meetings held by transplantation associations. Transplantation journal aims to publish the high-quality experimental and clinical research articles, reviews with critical analysis of contemporary evidence and directions for further research, interesting case reports on management of challenging clinical cases, brief reports, editorials and letters to the editor discussing scientific or clinical findings in published articles. Transplantation journal will also publish papers on description of innovative methods in medicine, important scientific, clinical, healthcare and medical educational issues, clinical images, etc. Transplantation journal welcomes submissions related to all relevant disciplines of transplantation from authors worldwide. It will feature original research, review papers, clinical studies, editorials, expert opinion and perspective papers, commentaries, and book reviews. 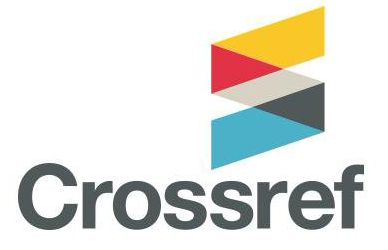 Trends in Transplantation is the member of CrossRef database and is indexed in: EBSCO, Genamics, WorldCat, Google Scholar. The Transplantation journal fully endorses international standards on editorial policy and publication ethics set by COPE. Journal aims to publish the high-quality experimental and clinical research articles, papers on description of innovative methods in medicine, reviews with critical analysis of contemporary evidence and directions for further research, rare interesting case reports on management of challenging clinical cases, brief reports, editorials and letters to the editor discussing scientific or clinical findings in published articles, important scientific, clinical, healthcare and medical education issues, clinical images, articles on history of diagnostic methods, etc. We publish articles related to following scope of research but is not limited to the mentioned topics. Sung Joo Kim is a professor of surgery in Samsung Medical Center. After receiving his medical degree at the Catholic University School of Medicine, Dr. Kim completed his clinical training at the University of Minnesota, Wisconsin and Emory. Now he is a director of organ transplantation center, sarcoma center and animal research center in SMC. He supervises medical students, residents, and postdoctoral fellows as well as frequently delivers presentations on topics involving transplantation science and the management of transplantation patients. 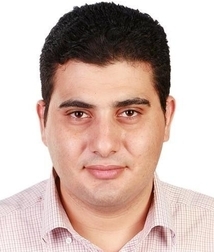 His current research interests are in improving cell and organ transplantation relate to immunological events. Most of all, tolerance induction offer hope for graft survival in transplantation minimizing disadvantage of immunosuppressant. The other hands, autoimmune disease and diabetes are also related to immunological complication in patients. Understanding the immunologic mechanisms between transplant and recipient should lead to ways to re-establish transplantation and autoimmune disease by combining the tools of molecular biotechnology and stem cell biology. Furthermore, the group plans to develop a translational knowledge of the transplantation that render them basis for the application into clinic using non-human primate and humanized mouse modeling. This is the basis for generating powerful tools that could enhance the graft survival after transplant and eventually extend to the treatment of patients who have organ problems. Cardiac Surgery Clinical Research Center, Inc.
Dr. med. KAHRAMAN Alisan, M. D.
Accepted papers will be immediately displayed on the Trends in Transplantation website in an ‘in press’ format. In this special issue of Hematopoietic Stem Cell Transplantation, we invite research, comprehensive reviews, rare clinical cases, brief communications by experts in the field of Hematopoietic stem cell transplantation and relevant disciplines that cover a range of topics from basic science, translational research and clinical practice. Topics spanning the issue which are considered include clinical indications, graft types, sources and storage of cells, conditioning regimens, engraftment, complications, prognosis, risk to donor, latest research. In general the Manuscripts are classified in to following groups based on the criteria noted below. The author(s) are encouraged to request a particular classification upon submitting (please include this in the cover letter); however the Editor and the Associate Editor retain the right to classify the manuscript as they see fit, and it should be understood by the authors that this process is subjective to some degree. The chosen classification will appear in the printed manuscript above the manuscript title. The letter should not be divided into sections. The letter will undergo peer-review similar to other articles. The case should address a challenging diagnostic and/or therapeutic problem with possible solutions to help clinician's in managing these cases much more effectively. For 'Case in Images' section , the manuscript must meet all the criteria of a case report given above with the difference that 10-25 figures can be submitted for this section (Case Report can have maximum of 7 figures). The figures may include clinical images, radiology images (USG, CT, MRI, PET, SPECT etc. ), pathology images (histopathology, cytopathology, hematopathology) or a series of images of a procedure or event. Articles focused on bridging scientific knowledge with policy issues, policy options, or policy analysis. This section includes the papers presented in the conference usually published in a volume. It may be months before such information is published as a journal article, or it may never be published. OA Text publishes announcements of conferences, meetings, seminars, symposia, courses, and other items. The announcements should be less the 150 words. They must be accompanied by name, address and email of a contact person. OA Text also welcomes Special Issues, a set of related articles addressing themes or projects of broad interest, typically 4–10 articles in each group, usually including a synthesizing Commentary. Special Issues may fall within a single knowledge domain or be cross-listed under two or more domains; in either case, a single Editor-in-Chief will be responsible for the entire Special Feature. For more information, see our Special Issues informational page. For detailed information on structure and formatting for each article type, please see our Manuscript Preparation guidelines. Supporting material that cannot be included, and which is not essential for inclusion, in the full text of the manuscript, but would nevertheless benefit the reader. It should not be essential to understand the conclusions of the paper, but should contain data that are additional or complementary and directly relevant to the article content. We encourage authors to include supplementary information with their submissions whenever appropriate; for example, when the amount of material is too great to warrant inclusion in the main body of the paper, or when the material is in a format that cannot be represented in print (i.e. audio, video, three-dimensional representations, and other rich media as well as additional figures and tables). Supplemental material provides additional information that enhances the main text and is directly referenced within the text, but is not critical to its assertions. Please note that atomic co-ordinates used to create molecular models described in a manuscript, unless deposited in a publicly available database, must be made available as Supplementary data. Although we do not limit the number or type of supplemental material items authors may include, we do require that they provide a relevant and useful expansion of the article, and that they are as well described as are figures and tables included within the body of the article. Good metadata of this material are key to discoverability and usefulness. For detailed information on formatting and submitting supplementary information, please see our guidelines on Supplemental Material & Data. A condition of publication in a OA Text journal is that authors are required to make materials, data and associated protocols promptly available to others without undue qualifications. Data sets must be made freely available to readers from the date of publication, and must be provided to editors and peer-reviewers at submission, for the purposes of evaluating the manuscript. An inherent principle of publication is that others should be able to replicate and build upon the authors’ published claims. Therefore, we require that all major Data sets must be made freely available to readers from the date of publication, and must be provided to editors and peer-reviewers at submission, for the purposes of evaluating the manuscript, unless there are clear reasons to restrict access. Datasets should be archived in an appropriate, subject-specific public archive, or in an institutional repository. The Directory of Open Access Repositoriesprovides a searchable list of over 2,000 OA repositories. For more information, please see our guidelines on Supplemental Material & Data. The submission represents work that has not been published or submitted for publication elsewhere. The research carried out needs to be original and the data needs to be useful to other researchers. (we agree that it is not in our power to predict which submissions will be useful, hence we will be accepting all kinds of submissions inititally, with the hopes of learning and ignoring those submissions that are not useful) An inherent principle of publication is that others should be able to replicate and build upon the authors' published claims. The article should present the results of scientific research and the results should be repeatable. Futile hypothesis and failed experiments need to have a sound reasoning behind their results. The assurance that the experiments, statistics, and other analysis are performed to a high technical standard, are repeatable and should be described in full detail. Conclusions and discussions (if any) are presented in clearly explained avoiding ambiguity and are supported by the data. Importance of research in the respective field. Feature Prospective, Broad area of research, Rigorous methodology, Adequate evidence for its conclusions. The previous literature has been treated fairly and adequately. The authors have complied with applicable reporting standards and guidelines for data publication. Avoid presenting your results with raw or unprocessed data. The submission is written clearly and unambiguously in Standard English. Manuscripts should be submitted by one of the author, who is listed in the manuscript while submitting the manuscript files through EMS, make sure your files are in Word or PDF (.pdf, .doc, .docx, .rtf) format. Authors are encouraged to provide the names and contact information for 3–5 external reviewers, though Associate Editors are not obligated to use these suggestions. Authors may also indicate researchers whom they feel should not review the submission. For more information, please see our guidelines on Manuscript Preparation. Each of OA Text journals are led by an Editor-in-Chief and supported by an international Board of Associate Editors, comprised of respected researchers in relevant fields. We are committed to providing Elementa authors with a fair and timely review process, constructive feedback, and a supportive environment. We publish articles that are methodologically sound, that are worthy of inclusion in the scholarly record, and that further research and discourse in the relevant field of study. Our goal is to make initial decisions on submissions within 21 calendar days. After acceptance, the manuscript and supporting files will be immediately processed for publication, a process taking approximately 10 business days, if all supporting files are in order. All manuscripts submitted to OA Text Journals are received by the Editorial Assistant who examines all files including cover letter, text files, images and figures. If the files meet the technical and formatting of OA Text, as given in the Instructions for Authors, authors are sent an acknowledgement of the manuscript along with a Manuscript ID number. After assigning the Manuscript ID number, the manuscript is sent for editorial review and external peer review. Authors are requested to quote the manuscript ID number in all correspondences with OA Text journals. If the manuscript files do not meet the technical requirements of the journal, authors are sent detailed instructions about the changes required in the manuscript and asked to resubmit the files to the Editorial Office, using "Submit Revision" page. After the files pass the technical and formatting requirements, the manuscript is assigned to a Section Editor or a member of the Editorial Board. The Editor reviews the manuscript and returns the manuscripts along with the comments to the Editorial Assistant or Editorial Secretary. The editorial process gives the editors the authority to reject any manuscript, if it doesn’t not meet the scientific publishing standards or is out of scope of the journal. Based on the comments of the Editor the manuscript is sent for the external peer review. The manuscript is usually sent to two to four expert peer reviewers. The peer reviewer's identities are kept confidential to ensure a fair and unbiased review of every manuscript. The pertinent Editor-in-Chief will review submissions to identify those that are appropriate for full review, and assign an Associate Editor to manage the review process. If a revision is recommended, the Editorial Assistant will include, with her or his review, a short paragraph summarizing the most important issues raised by the reviewers for the author(s) to address and ask the author(s) to include a Response to Reviewers with their revision. In some cases the Editorial Assistant may seek further review from the original or other reviewers. The Editor-in-Chief will make the ultimate decision regarding publication, and communicate directly with the corresponding author on the results of the review process. After acceptance, a Production Editor will perform a technical audit of the final manuscript and supporting files, to ensure that the submission will move through the production process smoothly. After the acceptance of the manuscript, it may be edited for grammar, punctuation, style and accuracy. An edited, pre-print, proof of the manuscript with all figures, table and charts included, is sent to the corresponding author for approval. The proof will be sent as a PDF file. The authors will also be sent a proof corrections form, which the authors can use to submit any changes required in the manuscript. Please note that at this stage only the type-setting like incorrect punctuation will be corrected. It will not be possible to make any significant changes to the text or add or delete figures. The proof need to be returned to the Editorial Office within three days (72 hours). After the correction proofs are received by the Editorial Office, the final version of the manuscript is prepared for publication. During preparation for publication, HTML, PDF, XML and other formats of the manuscript are prepared. After receiving page proofs, the average time to publication is approximately four weeks. All manuscripts are published in HTML and PDF formats. Trends in Transplantation is an Open Access journal and we do not charge the end user when accessing a manuscript or any article. This allows the scientific community to view, download, distribution of an article in any medium, provided that the original work is properly cited, under the term of "Creative Commons Attribution License". In line with other open access journals we provide a flat fee submission structure on the acceptance of a peer-reviewed article which covers in part the entirety of the publication pathway (the article processing charge). The process includes our maintenance, submission and peer review systems and international editing, publication and submission to global indexing and tracking organisations and archiving to allow instant access to the whole article and associated supplementary documents. We also have to ensure enough investment to secure a sustainable model which ethically, legally and financially stable. The publication charges for Trends in Transplantation are GBP 2599. Open Access Text is committed to providing high quality articles and uphold the publication ethics to advance the intellectual agenda of science. We expect our authors to comply with, best practice in publication ethics as well as in quality of their articles. Few of the authors request withdrawal of manuscript from the publication process after submission or after publication. In some instances the request for withdrawal is made when the manuscript is only a few days away from publication in the journal. This may cause the time waste by the editors, reviewers and the editorial staff. To evade gratuitous withdrawal of manuscripts OA text declared the below withdrawal policy. The corresponding author or co authors should address the below statement before sending a request for withdrawal. All authors include corresponding and co authors should confirm the number of authors, authorship, approval and integrity of the manuscript before submission. In case of any differences of opinion, address the concerns of all the authors before submitting the manuscript for publication. Research students or Researchers should take prior permission from their guides and professors before sending/submitting their manuscripts in OA text journals. Manuscript is appropriately withdrawn from any previous publisher (if submitted). It is unacceptable to withdraw a manuscript from a journal because it is being accepted by another journal. Before submitting the manuscript authors should carefully check the facts and data presented in the manuscripts are accurate and error-free. All authors need agree for publishing the articles on the specific journal before submission. Advanced stage in the editorial process, when peer reviews were near completion was unacceptable unless there are compelling reasons. If the author withdraws a manuscript after publication, the article publication charges, if paid by the authors, will not be refunded. If the authors do not reply to communication from the editorial office, even after multiple reminders, at any stage of the publication process; OA text Journals holds all rights to disclose the conduct of the authors and content of the manuscript without further approval from the authors, and cannot be held responsible for the consequences arising from it. Withdrawal of a manuscript will be permitted only for the most compelling and unavoidable reasons. For withdrawal of a manuscript authors need to submit an "Article withdrawal Form", signed by all authors mentioning the reason for withdrawal to the Editorial Office. The form is available from the editorial office of the journal. Authors must not assume that their manuscript has been withdrawn until they have received appropriate notification to this effect from the editorial office. In a case where a manuscript has taken more than six months time for review process, that allows the author to withdraw manuscript without paying any charges. The author is allowed to withdraw the manuscript without paying any withdrawal penalty, if the author(s) requests a withdrawal of manuscript, within 48 hours of submission. OA text Journal Editorial Office will provide the corresponding author a formal letter of Manuscript Withdrawal. Withdrawal of manuscripts is only allowed after withdrawal penalty has been fully paid to the OA text Editorial Office. As per the policy, we declare that the withdrawal charges are applicable in case of withdrawal. If the author wish to withdraw paper from a journal, author needs to submit an " Article withdrawal Form" signed by all authors (or) the corresponding author of the manuscript stating the reasons for manuscript withdrawal. The form is available from the Editorial Office of the journal. Include relevant clinical, radiological and pathological images with the manuscript to give it a visual accept and increase the impact of your work on the readers. Make all effort to preserve the anonymity of the patients. if photographs of an individual is used in which a person can be identified, written informed consent must be obtained and submitted to the Editorial Office. This permission is separate from the permission taken from the patient to publish the case. If you include text or figures that have been published elsewhere, you must obtain permission is separate from the permission taken from the patient to publish the case. If you include text or figures that have been published elsewhere, you must obtain permission from the copyright owner(s). All expenses for obtaining such permission will have to be paid by the authors(s). If you are unable to pay for obtaining permission to use previously published work, we suggest that you use other work available free to refer and cite in your manuscript. Do not include images in the main manuscript text file. All figures should be provided as separate files. The file name should include the figure number. Label file names as:Figure1, Figure2 etc. If multiple figures form a part of a sequence label them as Figure 1(A), Figure 1(B) etc. Figure files should have a minimum of 300 pixels per inch (ppi) if in color or halftone, or at 1200 ppi if as line art. Digital scanned line drawings should have a minimum resolution of 800 dpi. Figures containing color should be in RGB (millions of colors), 8 bits per channel. No other color space is allowed, such as CMYK, indexed, or bitmap. Save grayscale or RGB files with a depth of 8 bits per channel, not 16. Try to keep all images separate. You do not need to combine multiple images into a single image. If it is necessary to combine multiple figures into one composite figure, figure parts should be denoted on the figure by uppercase letters (A, B, C etc.). Label each figure in the lower left hand corner (for Figure 1(A), label figure as 'A', for Figure 1(B), label figure as 'B',without quotes). Labels should not include the word'Figure'. The size of the letters should be large enough to be easily visible. Use font color so that letters contrast with the background. Keep letters of a consistent size in all the figures. You can use symbols, arrows or letters in the figures to indicate important areas or parts. Do not put the title of figures or explanations on the figure. Mention them in the figure legends. If a figure has been published elsewhere, you will have to submit written permission from the copyright holder to reproduce the materials at the time of submitting the Author Agreement Form. Please provide figure legends on a separate page with Arabic numerals corresponding to the figures. The legend should be included in the manuscript text file immediately following the references. Give a good description of the figure. When arrows, symbols or letter are used to identify parts of figure, identify and explain each one in the legend. Give the magnification and identify the method of staining in photomicrographs. Figure legend should begin with term 'Figure' followed by figure number (e.g. 'Figure 1'). Text within a figure should be Arial, Times, and/or Symbol 6-12 point to ensure legibility. EPS text in other fonts may be lost or render improperly, so should be converted to outlines. Do not include author names, article title, or figure number/title/caption within figure files. Create figures with a white background. Figures with a transparent background may not display well online. Figures should be cropped to minimize surrounding white space. A 2-point white space border around each figure is recommended to prevent inadvertent cropping of content at layout. TIFF files with multiple layers are not acceptable. Figures with a single layer named “layer 1” or “layer 0” are in fact “layered.” Please provide a flattened version of any multiply layered file. If you plan on submitting a stereogram as one of your figures, make sure this is clearly mentioned in the caption for the figure within the manuscript. Stereograms must be sized so that the centers of each of these images are 63 mm apart. Make sure that the stereogram figure is at the size you would like them to display. The journal reserves the right to modify, crop, rotate, reduce, or enlarge the photographs to an acceptable size. The table numbers should be cited at the relevant places in the text in parenthesis after the punctuation mark .e.g. (Table 1) or (Tables 1-4) or (Tables 1,3,6-8). We impose no limit on the number of tables submitted, but we do require that all tables—main or supplemental—be well described. Good metadata are key to discoverability and usefulness. Each table should be numbered in the order of first citation in the text, using Arabic numerals, e.g. Table 1. You will need to send your original, editable files (e.g. in Microsoft Word or Excel). This will reduce the likelihood of errors being introduced during production of your article. Non-editable files (e.g. JPEG or TIFF images, or images of text boxes in PowerPoint) are not suitable formats but can be included in addition to the editable files for reference. Each table should appear on separate page. A title for every table which summarizes the whole table must be given above the table. Please present table titles separately for each table, rather than including them as the first row of the table. Table notes should be separate from the titles and included underneath the table to which they apply. Tables should present new information rather than duplicating what is in the text. Readers should be able to interpret the table without reference to the text. Tables should be self-explanatory and not duplicate the data presented in figures. Tables do not have strict dimension requirements. However, some wide tables may be printed sideways in the PDF version of the article. Very large tables may span more than one page in the PDF. When submitting multiple tables, consistency in presentation is advised where possible. Kindly prepare tables using the table function of word processing program like Microsoft Word. Do not use spaces or table for making tables. Charts should be sent as Excel or PowerPoint files. Place explanations, comments and full form of non-standard abbreviations in footnotes below each table. If some materials have been taken from previously published literature, give the reference at the end of table caption, and include the citation in the list of references at appropriate places. Please note that color, shading, vertical rules, and other cell borders are not compatible with our publishing requirements. Where necessary please use notes, italics, or bold text for emphasis with accompanying footnotes explaining their significance. Where superscript notes are used, the letters should follow alphabetical order from the top left of the table to the bottom right. All statistical significance notes should be represented in the table, or deleted. Please also add notes explaining any acronyms or abbreviations in table titles or column headings. When representing information numerically, use as many decimal places as is appropriate for your purposes. This number should be consistent throughout the column, or table if possible. The text in your table will be copy-edited to match the style of the journal. Refer to each table in the text. If you are sending tables in a separate file, insert a note in the text indicating the preferred location for each table, e.g. [t]Table 1 near here[/t]. -multi-part tables with varying numbers of columns or multiple footnote sections should be divided and renumbered as separate tables. If your submitted table contains any of these elements, they will be returned for adjustments. Supporting material that cannot be included, and which is not essential for inclusion, in the full text of the manuscript, but would nevertheless benefit the reader. It should not be essential to understanding the conclusions of the paper, but should contain data that are additional or complementary and directly relevant to the article content. Authors are encouraged to take advantage of the opportunity to submit Supplementary data whenever appropriate; for example, when the amount of material is too great to warrant inclusion in the main body of the paper, or when the material is in a format that cannot be represented in print (i.e. video clips or animated graphics). Please note that atomic co-ordinates used to create molecular models described in a manuscript, unless deposited in a publicly available database, must be made available as Supplementary data. All material to be considered as Supplementary data must be submitted at the same time as the main manuscript for peer review. Please indicate clearly the material intended as Supplementary data upon submission. Also ensure that the Supplementary data is referred to in the main manuscript at an appropriate point in the text. It cannot be altered or replaced after the paper has been accepted for publication. [Supporting material that has not been peer reviewed will not be published as Supplementary data (so will not be designated 'S' in the Table of Contents), but can be made available through a link to the author's home page, at the discretion of the Executive Editor handling the paper. The word 'Supplementary' must not be used to describe this material. Please use words such as 'Supporting material' or 'Additional material'. Supplementary data should be submitted in a separate file(s), in its final form. Please note that Supplementary data will not be edited, so ensure that it is clearly and succinctly presented, and that the style of terms conforms to the rest of the paper. Also ensure that the presentation will work on any internet browser. Note: Supplementary data is considered as published material and is regulated by the same copyright and permissions rules as the published article to which it belongs. Figures, Tables, Videos, Animations should be provided with titles should be no more than 15 words and set in bold type, using sentence case. Supplemental material figures and tables should follow the requirements for main-text figures and tables (seeFigure PreparationandTable Preparation). Other types of supplementary material files should include a caption of no more than 300 words should, describing the key message of the figure/video/animation in such a way that readers can interpret the file without referring to the text. All Supplementary data MUST be referred to in the main manuscript at an appropriate point in the text, just as main text figures and tables. This offers readers context and allows for seamless interlinking. Text citations should use the appropriate type and number designation (e.g., Video S1). Supplementary data should be made available by the publisher as online-only content, linked to the online manuscript. Such data should consist of electronic files and should not merely be a link to another web site. The supplementary data should preferably be saved as one single PDF file, including all text, figures, tables and legends. If this is not possible, a maximum of 10 files is acceptable to make up the supplementary data unit for the article.We prefer that Supplemental Material files not exceed 10MB. However, if that size limit results in a loss of quality (e.g., by making the dimensions smaller or compressing a movie in such a way as to compromise image quality), we can accept larger files. Supplementary text should be submitted as text files in MS Word (.doc), HTML (.php) or RTF (.rtf) format.And should be mentioned appropriately in text. Spreadsheet files in MS Excel (.xls) or CSV format. Where possible, combine all tables into a single Excel workbook, saving individual tables on separate clearly labelled worksheets (tabs). Supplemental figures should be submitted as separate tif, gif or jpg files at a minimum resolution of 300 ppi, just as with main figures (please see ourFigure Preparationsection for detailed instructions on figure preparation). For videos, please try to submit videos &audio clips of reasonable quality. We highly recommend videos to be submitted in MP4 formatand audio clips in mp3 format.Whatever format you use, videos must open and play in either QuickTime Player v. 7.6.2 or Windows Media Player v. 11. Authors who have video and/or audio clips that they wish to submit their article are strongly encouraged to include these within the body of the article. This can be done in the same way as a figure or table by referring to the multimedia content and noting in the body text where it should be placed with its associated caption. An inherent principle of publication is that others should be able to replicate and build upon the authors' published claims. Therefore, a condition of publication in a OA Text journal is that authors are required to make materials, data and associated protocols promptly available to readers without undue qualifications. Any restrictions on the availability of materials or information must be disclosed to the editors at the time of submission. Any restrictions must also be disclosed in the submitted manuscript, including details of how readers can obtain materials and information. If materials are to be distributed by a for-profit company, this must be stated in the paper. Data sets will be made freely available to readers from the date of publication, and must be provided to editors and peer-reviewers at submission, for the purposes of evaluating the manuscript. Sequence information, co-ordinates used to create molecular models described in a manuscript, and structural data must be submitted in electronic form, prior to acceptance, to the appropriate database for release no later than the date of publication of the corresponding article in the Journal. Deposition numbers and/or accession numbers provided by the database should be included in the manuscript and entered into the relevant boxes during online submission or communicated to the Executive Editor handling the manuscript as soon as received. In cases where there may be no appropriate database, authors must make their data available on request. Atomic co-ordinates may be included in the publication as supplementary material. Manuscripts will not be published until the Journal is in receipt of the deposition number. Nucleic acid sequence information must be deposited with one of the three major collaborative databases (EMBL/GenBank/DDBJ). For sequences obtained from a public or private web site, it is the author's responsibility to ensure that any sequence used within the manuscript is deposited before publication. It is necessary to submit sequences to one database only since data are exchanged between EMBL, GenBank and DDBJ on a daily basis. New sequence names and their accession numbers should be listed at the beginning of the Materials and Methods section to aid searches by readers. In order to allow new methods of data search,NAR encourages authors to cite GenBank accession numbers when referring to established sequences within their manuscript. For Illumina-type sequencing, authors are encouraged to submit raw Illumina data to the NCBI’s Sequence Read Archive, and to include corresponding accession numbers in the manuscript. Authors of papers describing structures of biological macromolecules must provide atomic coordinates and related experimental data (structure factor amplitudes/intensities for crystal structures, or restraints for NMR structures) upon request of editors for the purposes of evaluating the manuscript, if they are not already freely accessible in a publicly available and recognized database (for example,Protein DataBank,Uniprot,Nucleic Acids DatabaseorBiological Magnetic Resonance Databank). Electron microscopy-derived density maps and coordinate data must be deposited inEMDB. Manuscripts reporting new three-dimensional structures of small molecules from crystallographic analysis should include a .cif file and a structural figure with probability ellipsoids for publication as Supplementary Information. The structure factors for each structure should also be submitted. Both the strucure factors and the structural output must have been checked using the IUCR's CheckCIF routine, and a PDF copy of the output must be included at submission, together with a justification for any alerts reported. Crystallographic data for small molecules should be submitted to the Cambridge Structural Database and the deposition number referenced appropriately in the manuscript. Full access must be provided on publication. Databases: The Cambridge Crystallographic Data Centre (CCDC) is appropriate for deposition of data on nucleosides, nucleotides and other small molecules. A member site of theWorldwide Protein Data Bank:RCSB PDB,Protein Databank in Europe (PDBe),Protein Databank in Japan (PDBj), orBMRBis appropriate for deposition of data on proteins determined by X-ray crystallography and for all macromolecules determined by NMR methods. The Nucleic Acid Database (NDB) is appropriate for atomic co-ordinate and structure factor data for crystal structures of nucleic acids. This can generally be handled by the Worldwide Protein Data Bank or RCSB Protein Data Bank described above. NMR papers: Resonance assignments should be reported relative to DSS and not to HOD. Protein sequences, which have been determined by direct sequencing of the protein, must be submitted toUniProt(i.e. TrEMBL, Swiss-Prot and PIR) using the interactive submission tool SPIN. Please note that they do not provide accession numbers, IN ADVANCE, for protein sequences that are the result of translation of nucleic acid sequences. These translations will forwarded automatically from the nucleotide sequence databases (EMBL/GebBank/DDBJ) and assigned UniProt accession numbers on incorporation into UniProt. Results from characterization experiments should also be submitted toUniProt: for novel sequences, these should be included with the sequence submission. Existing UniProt entries should also be updated. This can include information such as function, subcellular location, subunit, etc. New ChIP-Seq data must be deposited in GEO, with accession numbers at or before acceptance for publication. All authors must comply with the'Minimal Information About a Microarray Experiment' (MIAME)guidelines published by the Microarray Gene Expression Data Society. NAR also requires submission of microarray data to the GEO or ArrayExpress databases, with accession numbers at or before acceptance for publication. Other databases recommended by Nature journals includeIntActand theGlobal Proteome Machine Organization. Earth sciences databases recommended by Nature journals includePangaea, the publishing network for geoscientific and environmental data; PetDB, for geochemical data of rocks on the ocean floor; andGEOROC, geochemistry of rocks from the oceans and continents. See also:World Data Center system;National Climatic Data Center. Astronomy and Astrophysics:NucAstroData;Plasma gate;Smithsonian/NASA astrophysics data system;SIMBAD astronomical database;UK solar system data centre. Physics:NIST physical reference data;Hepdata reaction data. Biology:ITIS(taxonomy);NCBI taxonomy;Species 2000;National Center for Ecological Analysis and Synthesis;Dryad. We use Scientific Style and Format: The CSE Manual for Authors, Editors, and Publishers (7th Edition, 2006) as our primary style guide and highly recommend that authors consult it. The purpose of a reference list is to enable sources to be easily traced by another reader. Different types of publication require different amounts of information but there are certain common elements such as authorship, year of publication and title. Any reference that is cited only in the tables or figures legends should be numbered according to the first identification of the table or figure in the main text in continuation with the sequence of citation numbering. Place the reference immediately after the author name or if author name is not included in the sentence, at the end of the sentence after the punctuation mark. Avoid citing unpublished data or manuscripts, personal communications, websites, conference papers and non-peer reviewed publications. Avoid citing very old references. The following guidelines, based on the CSE Manual, are intended to assist you in formatting references accurately and consistently. The reference list (appearing at the end of the article) should be numbered in the order that they appear in the text. All references in text, tables, and legends must be identified by consecutive Arabic numerals in square brackets, listed immediately before the closing punctuation mark. E.g. or [1,2] or [1-4] or [1-4,6] or [1,2,5-9] or [1,4-7,9, 11-20]. Published works, works accepted for publication, and citable datasets should appear in the reference list. Mentions of unpublished work should be cited parenthetically within the main text of the article as personal communications. In general, when writing for a professional publication, it is good practice to make reference to other relevant published work. This view has been supported in the work of Cormack (1994). List these at the relevant point in the sentence or at the end of the sentence, putting the author’s name, followed by the date of publication and separated by a semi-colon and within brackets. Royal College of Nursing, 2006.Children in the Community. London: RCN. Royal College of Nursing, 2007.Administering intravenous therapy to children in the community setting: Guidance for nursing staff. London: RCN. If the author cannot be identified use 'Anonymous' or 'Anon' and the title of the work and date of publication. The title should be written in italics. "When writing for a professional readership, writers invariably make reference to already published works..."
You may come across a summary of another author's work in the source you are reading, which you would like to make reference to in your own document; this is called secondary referencing. The reference list at the end of your document should only contain works that you have read. When citing material found on a website, you should identify the authorship of the website. This may be a corporate author, an organisation or a company; a guide to this can be found by looking at the URL or web address. To find the date of publication, reference to this might be found at the bottom of a web page relating to copyright, or from a date headline. Author(s).Date.Title of the book.Edition. Place of publication: Publisher: Extent. (Series).Notes. Author, Initials., Year. Title of book.Edition. (only include this if not the first edition) Place of publication (this must be a town or city, not a country): Publisher. Baron, D. P., 2008.Business and the organisation. Chester: Pearson. Please note where there is likely to be confusion with UK place names; for USA towns include the State in abbreviated form e.g. Birmingham, AL. For books with multiple authors, all the names should all be included in the order they appear in the document. Use an and to link the last two multiple authors. Authors, Initials., Year. Title of book.Edition. (only include this if not the first edition) Place: Publisher. Adams, R. J.,Weiss, T.D. and Coatie, J.J., 2010. The World Health Organisation, its history and impact. London: Perseus. Barker, R., Kirk, J. and Munday, R.J., 1988.Narrative analysis. 3rd ed. Bloomington: Indiana University Press. Author, Initials., ed., Year. Title of book.Edition. Place: Publisher. Keene, E. ed., 1988.Natural language. Cambridge: University of Cambridge Press. Silverman, D.F. and Propp, K.K. eds., 1990.The active interview. Beverly Hills, CA: Sage. Chapter author(s) surname(s) and initials., Year of chapter. Title of chapter followed by In: Book editor(s) initials first followed by surnames with ed. or eds. after the last name. Year of book.Title of book. Place of publication: Publisher. Chapter number or first and last page numbers followed by full-stop. Canetti, E., 2001. The voices of Marrakesh: a record of a visit. Translated from German by J.A.Underwood. San Francisco: Arion. Kant, I., 1785. Fundamental principles of the metaphysic of morals.Translated by T.K. Abbott., 1988. New York: Prometheus Books. Author, Initials., Year, Title of book. [e-book] Place of publication: Publisher. Followed by Available through: Anglia Ruskin University Library websitehttp://libweb.anglia.ac.uk[Accessed date]. Fishman, R., 2005. The rise and fall of suburbia. [e-book] Chester: Castle Press. Available through: Anglia Ruskin University Library websitehttp://libweb.anglia.ac.uk[Accessed 12 May 2010]. Carlsen, J. and Charters, S., eds. 2007. Global wine tourism. [e-book] Wallingford: CABI Pub. Available through: Anglia Ruskin University Library websitehttp://libweb.anglia.ac.uk[Accessed 9 June 2008]. Cookson, J. and Church, S. eds., 2007.Leisure and the tourist. [e-book] Wallingford: ABS Publishers. Available at: Google Bookshttp://booksgoogle.com[Accessed 9 June 2008]. Patterson, M. 2012. Lost places in dreams. [Kindle DX version] Transworld Media. Available at: Amazon.co.ukhttp:// www.amazon.co.uk[Accessed 9 June 2012]. Authorship, Year.Title of documents. [type of medium] Place of publication (if known): Publisher. Followed by Available at: include web address or URL for the actual pdf, where available [Accessed date]. Bank of England, 2008.Inflation Report. [pdf] Bank of England. Available at: [Accessed 20 April 2009]. Department of Health, 2008. Health inequalities: progress and next steps. [pdf] London: Department of Health. Available at:http://www.dh.gov.uk/en/Publicationsandstatistics/Publications/PublicationsPolicyAndGuidance/DH_085307[Accessed 9 June 2008]. Boughton, J.M., 2002. The Bretton Woods proposal: an brief look. Political Science Quarterly, 42(6), p.564. Cox, C., 2002. What health care assistants know about clean hands. Nursing today, Spring Issue, pp.647-85. Perry, C., 2001. What health care assistants know about clean hands. Nursing Times, 97(22), pp.63-64. Author(s).Date.Article title. Journal Title volume(issue): pages. doi. Steffen W, Crutzen PJ, McNeill, JR. 2007. The Anthropocene: Are Humans Now Overwhelming the Great Forces of Nature. Ambio 36(8): 614-621. Boughton, J.M., 2002. The Bretton Woods proposal: an in depth look. Political Science Quarterly, [e-journal] 42(6). Available through: Anglia Ruskin University Library websitehttp://libweb.anglia.ac.uk[Accessed 12 June 2005]. Katchamart, W., Trudeau, J., Phumethum, V. and Bombardier, C., 2010.Methotrexate monotherapy versus methotrexate combination therapy with non-biologic disease modifying anti-rheumatic drugs for rheumatoid arthritis. Cochrane Database of Systematic Reviews, [online] 4 (CD008495) Available at:http://onlinelibrary.wiley.com/doi/10.1002/14651858.CD008495/abstract[Accessed 6 August 2013]. Currie, G.P., Small, I. and Douglas, G., 2013.Long acting Β2 agonists in adult asthma. BMJ [e-journal] Early view article: Accepted 20 May 2013, Published 6 August 2013, BMJ2013 ;347:f4662. Available at:http://www.bmj.com/content/347/bmj.f4662[Accessed 8 August 2013]. Author, Initials., Year. Title of article. Full Title of Journal, [type of medium] Volume number (Issue/Part number), Page numbers if availalble. Abstract only. Available through: Source [Accessed date]. Boughton, J.M., 2002. The Bretton Woods proposal: a brief look. Political Science Quarterly, [e-journal] 42(6). Abstract only. Available through: Anglia Ruskin University Library websitehttp://libweb.anglia.ac.uk[Accessed 12 June 2005]. Author, Initials., Year. Title of article or column header.Full Title of Newspaper, Day and month before page numbers and column line. Author or corporate author, Year.Title of document or page.Name of newspaper, [type of medium] additional date information. Available at: [Accessed date]. If you need to refer to a specific section and paragraph, include the section, paragraph number and subsection. Finance Act 2007. s.45(9)(b). House of Commons, Home Affairs Committee, 2012. The Work of the Border Force. (HC 523, Sixth Report of Session 2012-13) - Report, Together with Formal Minutes. London:TSO (The Stationery Office). Corporate author, Year. Identifying letters and numbers and full title of Standard. Place of publication (if available): Publisher [online] Available through: Anglia Ruskin University Library website <http://libweb.anglia.ac.uk> [Accessed date]. British Standards Institution, 2011. BS EN 594:2011 Timber structures. Test methods. Racking strength and stiffness of timber frame wall panels. British Standards Online [online] Available through: Anglia Ruskin University Library website <http://libweb.anglia.ac.uk> [Accessed 31 August 2011]. Inventor name, Initials., Assignee., Year. Title. Place. Patent number (status, if an application). Authorship/Organisation, Year. Full title of report. [type of medium] Place: Publisher. Available at: include web address/URL [Accessed on date]. Department of Health, 2001. National service framework for older people. [pdf] London: Department of Health. Available at:http://www.dh.gov.uk/prod_consum_dh/groups/dh_digitalassets/@dh/@en/documents/digitalasset/dh_4071283.pdf[Accessed 12 September 2011]. Coulter, A. and Collins, A., 2011. Making shared decision-making a reality: no decision about me, without me. [pdf] London: The King's Fund. Available at:http://www.kingsfund.org.uk/publications/nhs_decisionmaking.php[Accessed 12 September 2011]. Author, Initials., Year of publication. Title of dissertation. Level. Official name of University. Available at [Accessed on date]. Fisher, C. W., 2008. The legacy of leadership - a study of leadership influence within a single organisation. DEd. University of Sheffield. Available at: [Accessed 30.07.2012]. REGULATION (EEC) No 1408/71 OF THE COUNCIL of 14 June 1971 on the application of social security schemes to employed persons and their families moving within the Community. Lecturer/Author, Initials., Year. Title of item, Module Code Module Title [online via internal VLE], HE Institution. Available at: web address if available over the internet, otherwise indicate if available through WebCT, SharePoint or other virtual learning environment address. [Accessed date]. Williams, B., 2008. Guide to project management, BD45001S Management. [online via internal VLE] Anglia Ruskin University Available at: [Accessed Date 13 June 2008]. When reviewing a number of different plays it is essential to cite the title of the plays. If reviewing one play (for example Twelfth Night) it is not necessary to repeat the title in your citations. Author, Initials., Year (of the edition). Title of play. Editors, Edition. (only include this if not the first edition) Place of publication: (this must be a town or city, not a country) Publisher. Shakespeare, W. 1995. Twelfth Night. (World's Classics series) Warren, R. and Wells, T. eds. Oxford: Oxford University Press. Much speculation has occurred when Malvolio imagines he might marry Olivia, "there is example for't; the Lady of the Strachy married the yeoman of the wardrobe" (Shakespeare, Twelfth Night II,v,36-7). Ahern, B., 1999. Interview on Morning Ireland. Interviewed by... John Boyd [radio] RTE Radio 1, 15 February 1999, 08:30. RCN, 2009. RCN praises health care staff as infections continue to fall. [press release] 18 June 2009. Available at:http://www.rcn.org.uk/newsevents/news/article/uk/rcn_praises_health_care_staff_as_infections_continue_to_fall[Accessed 23 June 2009]. Department of Health, 2011. Act F.A.S.T. campaign relaunched to save more lives. [press release] 28 February 2011. Available at:http://www.dh.gov.uk/en/MediaCentre/Pressreleases/DH_124696[Accessed 15 April 2012]. Encyclopaedia Britannica, 2012. Encyclopaedia Britannica Online. [online] London: Encyclopedia Britannica (UK). Avaialble through:encyclopaediabritannica.co.uk/intro[Accessed 12 June 2011]. Where data it extracted from a data source such as Isurv or FAME, both the source with the year of currency for that data. should be acknowledge in an intext reference. Complete details should be included in the reference list. RICS ISurv, 2013. More new homes. [Building surveying > Pathology > Modern methods of construction > Meeting challenges with MMC] ISurv [online] Available through: Anglia Ruskin University Library [Accessed 21 May 2013]. Where you have gathered and manipulated data from a data source like FAME or OECD and placed this in a table of your own making, we recommend that you give the source and year of currency, for the data, as an the intext reference and include a note to an appendix. In the appendix you can reproduce the source tables you have used to create your table and include adequate details of how you generated the table you have used in your work. Adobe Systems Incorporated, 2013. Adobe Air (3.8 beta). [computer program] Adobe Labs. Available at:http://labs.adobe.com/technologies/flashruntimes/air/[Accessed 30 August 2013]. Authorship or Source, Year.Title of web document or web page. [type of medium] (date of update if available) Available at: include web site address/URL (Uniform Resource Locator) [Accessed date]. If the URL appears to be exceedingly long, provide routing details which enable the reader to access the particular page via the site's homepage. You may be taken to a particular page as a result of a search you performed, or be directed from a link to another place on a website. The resultant URLs may include specific data about your method of accessing that page that is not available to your reader. If this is the case use the homepage (from which the reference can be found). NHS Evidence, 2003.National Library of Guidelines. [online] Available at: [Accessed 10 October 2009]. Author or corporate author, Year.Title of document. [type of medium] Place: Producer/Publisher. Available at: include web site address/URL(Uniform Resource Locator) [Accessed date]. Boots Group Plc., 2003. Corporate social responsibility. [online] Boots Group Plc. Available at: [Accessed 23 July 2005]. Defoe, D., 1999. The fortunes and the misfortunes of the famous Moll Flanders. [online] Champaign, Illinois: Project Gutenberg. Available at: [Accessed 18 November 2005]. Independent Inquiry into Access to Healthcare for People with Learning Disabilities, n.d. Healthcare for all. [online] Available at: [Accessed 10 April 2009]. Scottish Intercollegiate Guidelines, 2001.Hypertension in the elderly. (SIGN publication 20) [online] Edinburgh: SIGN (Published 2001) Available at: [Accessed 17 March 2005]. Name of sender, email address, Year.Message or subject title from posting line. [type of medium] Recipient's name and (email address). Date sent: Including time. Available at: URL (e.g. details of where message is archived) [Accessed date]. Jones, P., jones@jones.com, 2005.Mobile phone developments. [email] Message to R G. Schmit (r.g.schmit@syy.ac.uk).Sent Monday 7 June 2005: 08:13. Available at: [Accessed 7 July 2005]. Author, Initials., Year. Title of individual blog entry.Blog title, [medium] Blog posting date. Available at: include web site address/URL (Uniform Resource Locator) [Accessed date]. Whitton, F., 2009. Conservationists are not making themselves heard. Guardian.co.uk Science blog, [blog] 18 June. Available at: [Accessed 23 June 2009]. Comment Author, Year. Title of individual blog entry.Blog title, [medium] Comment posting date. Available at: include web site address/URL (Uniform Resource Locator) [Accessed date]. DGeezer, 2009. Conservationists are not making themselves heard. Guardian.co.uk Science blog, [blog] 18 June, Available at: [Accessed 23 June 2009]. Murrey, T., 2009.Sharing good practice, Forum for International Students. [online] 23 June 2009. Available at: [Accessed 23 June 2009]. Author, Initials., Year. Title of page [Facebook].Day/month post written. Available from: [ Accessed date]. Andrews, A., 2012. Customer Focus Group [Facebook]. 11 November . Available at: [Accessed 11 November 2010]. Author, Initials., Year. Full text of tweet [Twitter].Day/month tweet written. Available at: [Date accessed]. Big Red Corporation. 2013. New products for cars [Twitter]. 17 May Available at: [Accessed 13 November 2010]. Woolley, E. and Muncey, T., (in press) Demons or diamonds: a study to ascertain the range of attitudes present in health professionals to children with conduct disorder. Journal of Adolescent Psychiatric Nursing. (Accepted for publication December 2002). Anglia Ruskin University, 2007.Using the Cochrane Library. [leaflet] August 2007 ed. Cambridge: Anglia Ruskin University. O'Sullivan, S., 2003.Discussion on citation and referencing. [letter] (Personal communication, 5 June 2003). Great films from the 80s: a selection of clips from Warner Brothers top films from the 1980s. 2005 [DVD] New York: Warner Brothers. Title. Year of release. [Medium] Director. Country of origin: Film studio. Series title and episode name and number if relevant, Year of broadcast. [type of medium] Broadcasting organisation and Channel, date and time of transmission. Little Britain, 2006. [TV programme] BBC, BBC2, 30 January 2006 20.00. Beaton, C., 1956. Marilyn Monroe. [photograph] (Marilyn Monroe�s own private collection). Dean, R., 2008. Tales from Topographic Oceans. [electronic print] Available at: [Accessed 18 June 2008]. [Child placing gauze over knee wound] n.d. [image online] Available at:< http://www.dadpal.com/2009/12/wounds-care-help-and-wound-vac-therapy.php>[Accessed 01 June 2010]. 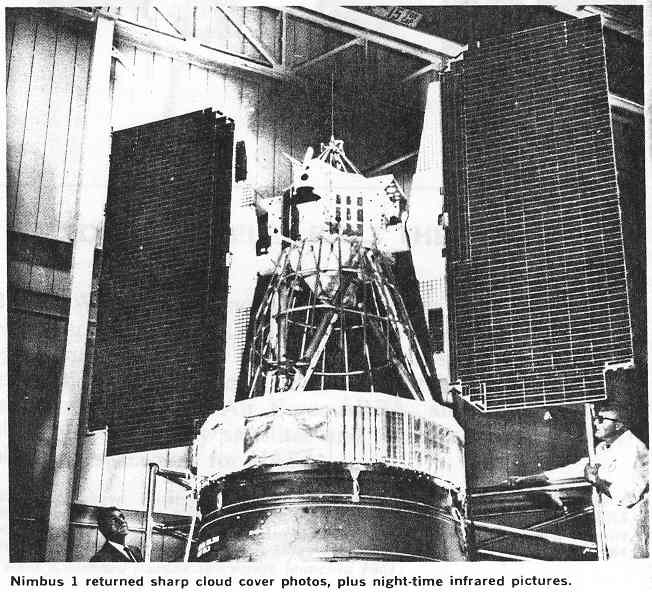 [Nimbus 1 returned sharp cloud cover photos, plus night time infra red pictures] n.d. [image online] Available at: [Accessed 13 November 2008]. Pepsi, 2009. Pepsi can designs. [image online] Available at: [Accessed 19 June 2009]. Van Vechten, C. 1934. Man Ray. [photograph] Available at: [Accessed 04 October 2009]. Map publisher (origin), Year of publication. Created map title, Scale. Source [online] Available through Library website [Accessed date]. Ordinance Survey, 2011. Anglia Ruskin University: Chelmsford Campus, 1:1.500. EDINA Digimap [online] Available through: Anglia Ruskin University Library [Accessed 31 August 2011]. Google Earth 6.0, 2008. Hylands House and Estates 51°42'39.17"N, 0°26'11.30"W, elevation 60M. 3D Buildings data layer. Available through: [Accessed 31 August 2011]. National Gallery, 2008. Episode Seventeen (March 2008), The National Gallery Monthly Podcast. [podcast] March 2008. Available at:< http://www.nationalgallery.org.uk/podcasts>[Accessed 23 June 2009]. Mrgeorged, 2009. Top Gear The Stig revealed Full. [video online] Available at: [Accessed 23 June 2009]. Defra, 2007. Sustainable development: the bigger picture. [video online] Available at: [Accessed 23 June 2012].